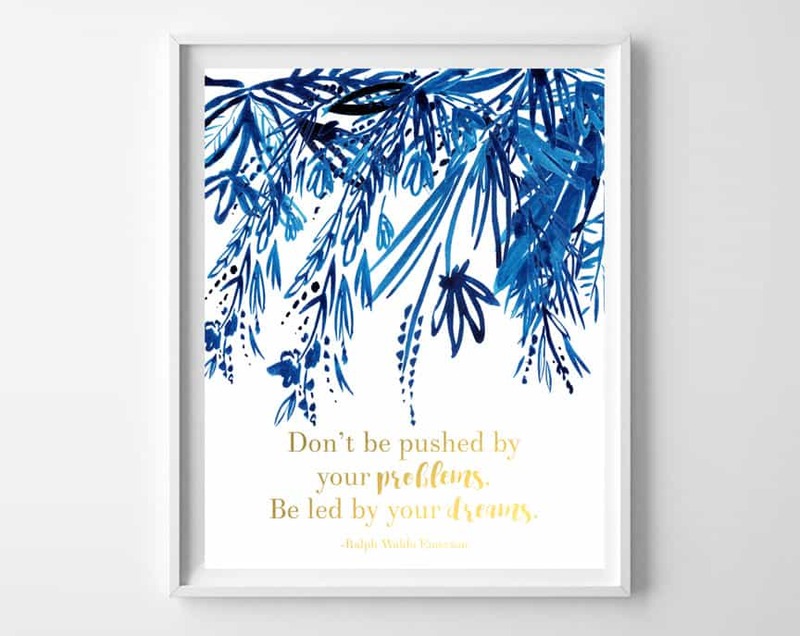 Free quote art inspirational printables in indigo and gold are the perfect wall decor for your home office or craft room! As a mom of two little ones, taking care of myself through maintaining a healthy lifestyle has to be a priority in my life. I know so many of my “mom friends” agree, it’s hard to take care of others if you’re not taking good care of yourself. This doesn’t include denying myself things I love (thank goodness for that), it just involves making better choices for myself and my body. If you know me, you know that a good cup of coffee is an essential part of my morning routine (and my afternoon one, as well, if you must know). Born Sweet Zing™ Zero Calorie Stevia Sweetener is made with only real ingredients (nothing artificial), and is my new go-to to sprinkle in my coffee, tea, or smoothies. 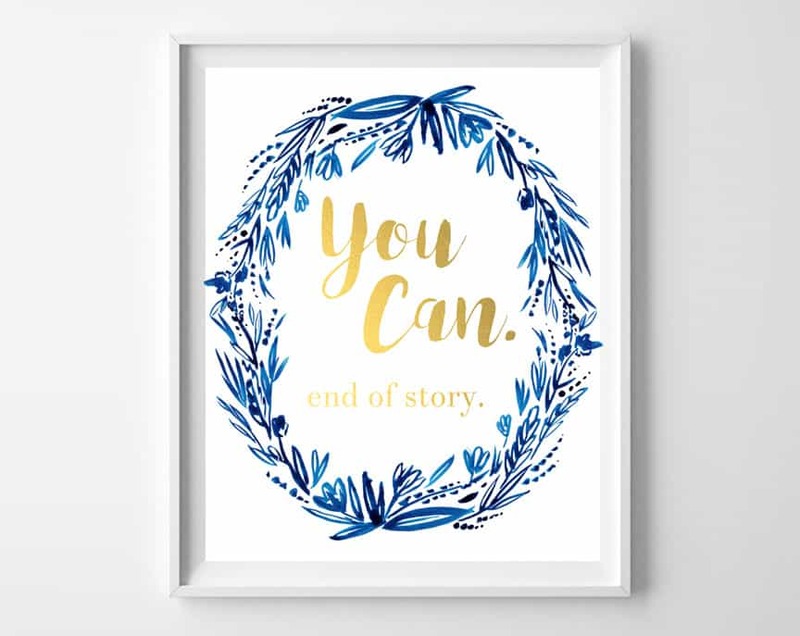 Just click on the quote art printable you’d like, and print out on 8×10 cardstock or photo glossy paper (you can also send to your favorite photo printer). Finding a perfect sweet taste without a funny aftertaste, and zero calories is simply AmaZING (see what I just did there? ), and just one of the small choices I make daily to live my best life. I’d love to know: what small choices do you make each day to help you live your best life? 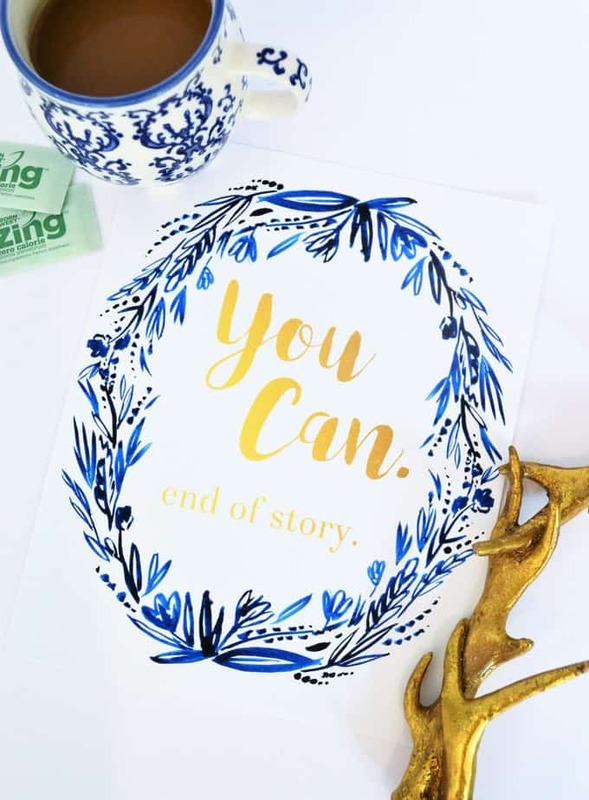 Thanks for reading all about our Quote Art Inspirational Messages Free Printables. Have a lovely day! 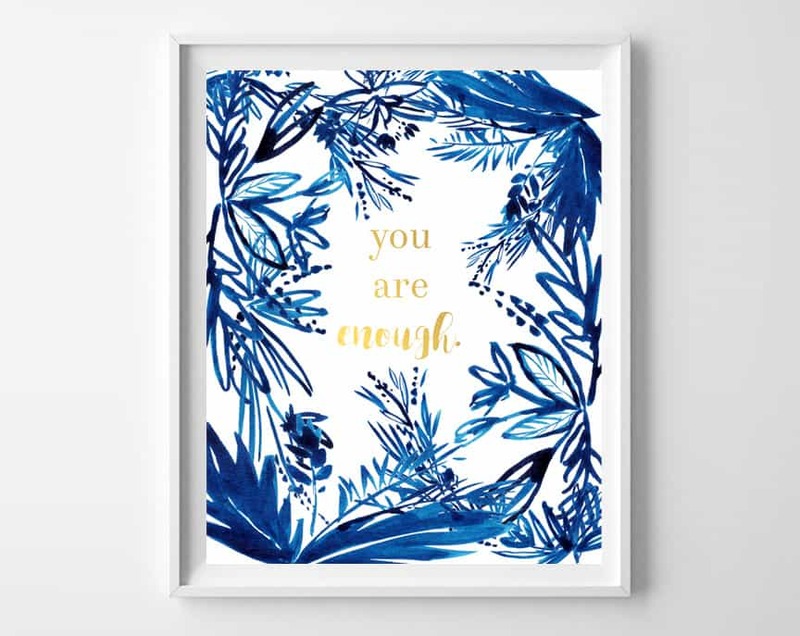 These are lovely posters. Thanks for sharing. I really love all of them. Thank you.